The Third Murder is a frustrating and intriguing drama that asks many more questions than it answers. The truth is unknowable in this atmospheric and atypical offering from Japanese auteur Hirokazu Koreeda. 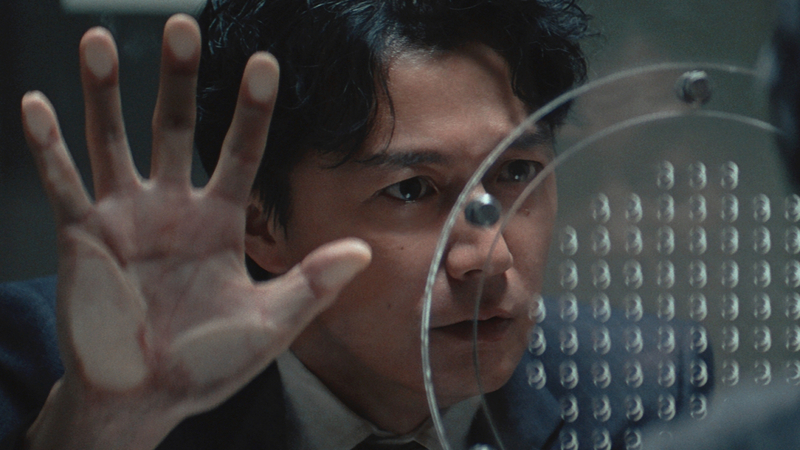 The story follows Tomoaki Shigemori (Masaharu Fukuyama), a lawyer who is defending a client, Misumi (Kōji Yakusho), in a murder trial. Misumi was previously convicted for two murders, but sentenced to years rather than the death sentence by Shigemori’s father, a judge. Misumi changes his story constantly throughout the film, so Shigemori, and the audience, is never quite sure what to believe. There is some pretty strange stuff with a teenage girl that made me feel pretty uncomfortable. It could well be culturally differences, but it comes off as purely misogynistic and idolisation of a young woman who is far from a full and realised character. But there isn’t a female character in the film that is. Some of the shots are incredibly beautiful, especially of Shigemori and Misumi talking through the plastic at the prison. There is also possibly more silence in this film than in any other that I have ever seen, and it has an at once calming and haunting effect. There is plenty of discussion on the death penalty in Japan. It would appear to say that Japanese culture thinks of criminals as a breed apart from humans, and Misumi as an examination of this. It also does a lot to paint the Japanese criminal system as unfair and incredibly bureaucratic. Ultimately there were moments during The Third Murder where I wondered how something so heavy-handed could be saying nothing at all. It is ultimately never clear what has happened, and if this was the intention that is not shown with nearly enough conviction to be viable. The performances are great and the photography is frequently beautiful. Perhaps to a different audience, the fussing nature of the narrative would be appealing, but the film just ends up feeling muddled.